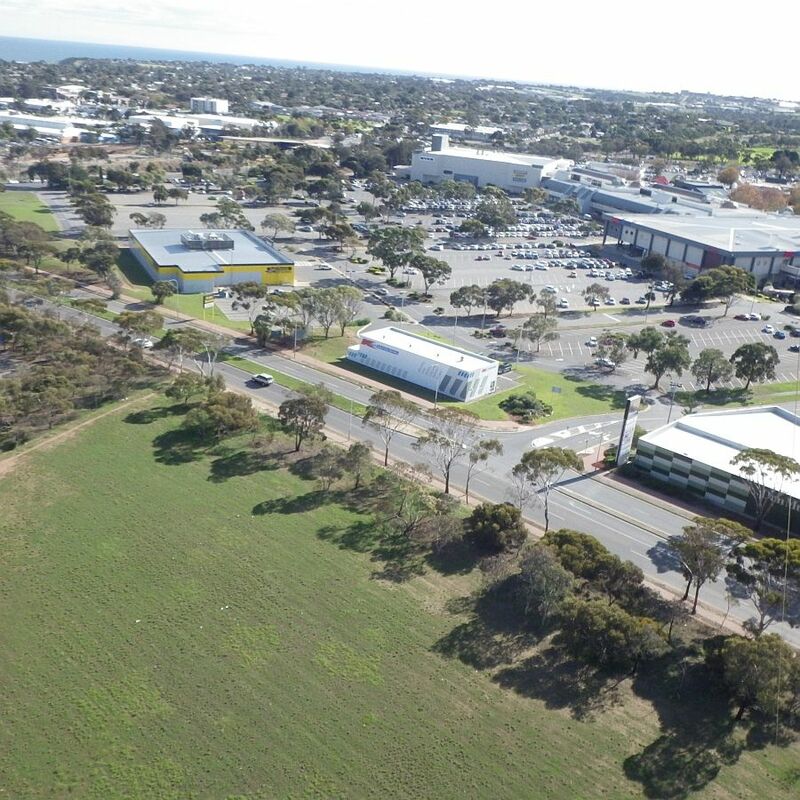 This was the third attempt to capture the expansive Noarlunga Centre (Aussie spelling) shopping complex from the air. Quite a few weeks ago, a small slip in setting up the tetrahedral KAP rig resulted in a great record of what the sky and clouds looked like on that day. But no buildings! Yesterday, as I set up the gear in the late afternoon, the breeze just died completely. The big light-wind Sled wouldn't inflate, let alone launch. There was a good 20% coverage of thin mid and high-level cloud. However, the sky was more blue to the North, hence the sun might have been un-obscured the whole time I was there. A quick shoulder-height check with the wind meter during one of the two KAP flights showed about 10 kph gusting to 20 kph. That was near the middle of the field, but the breeze was clearly much stronger up at 350 feet. In the region of 30 kph gusts. The logical choice of kite was the Fresh Wind Barn Door, after the much larger Multi-Dowel Barn Door kite started to struggle while near the top of its wind range. Temperature? Quite pleasant at around 20 degrees C.
Lifter: The Fresh Wind Barn Door kite. It lapped up the fairly smooth moderate breeze which just occasionally gusted into the fresh range. Low 20s up to low 30s in kph. 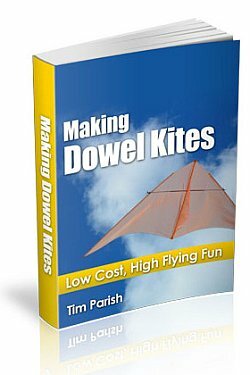 There are a number of large kite designs suitable for KAP, in my e-book at the top of this page. Low-cost DIY. KAP Rig: Bamboo skewer cage with a wad of folded paper wedged in behind the camera to incline the field of view down a little. Full Picavet suspension - although not slippery enough to keep the horizon level. Did an excellent job of maintaining direction and adjusting to line angle though. Camera pointed generally up-wind today. Direction was tweaked 10 - 15 degrees either way on two separate flights to cover the whole building complex. Should have flown higher! Camera: Pentax Optio WG-2 with built-in intervalometer. EV set to -1.0 to reduce glare of shiny roof tops and ISO to 400 to help reduce motion blur. Focus was fixed on infinity for the aerial shots. These five images were selected to simulate panning from left to right. Just two direction settings were used on the rig, on two separate flights. Sea near Christies Beach visible top left. The tallest parts of the building complex come into view. 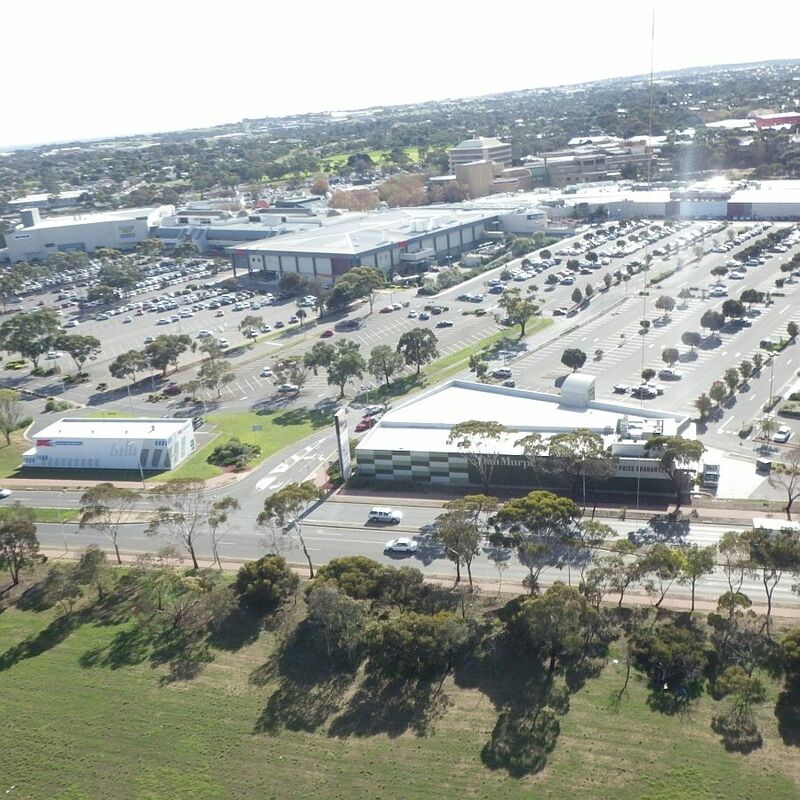 Still only about 2/3 of the total parking area visible here! Our white Hyundai Lantra is near dead-center. 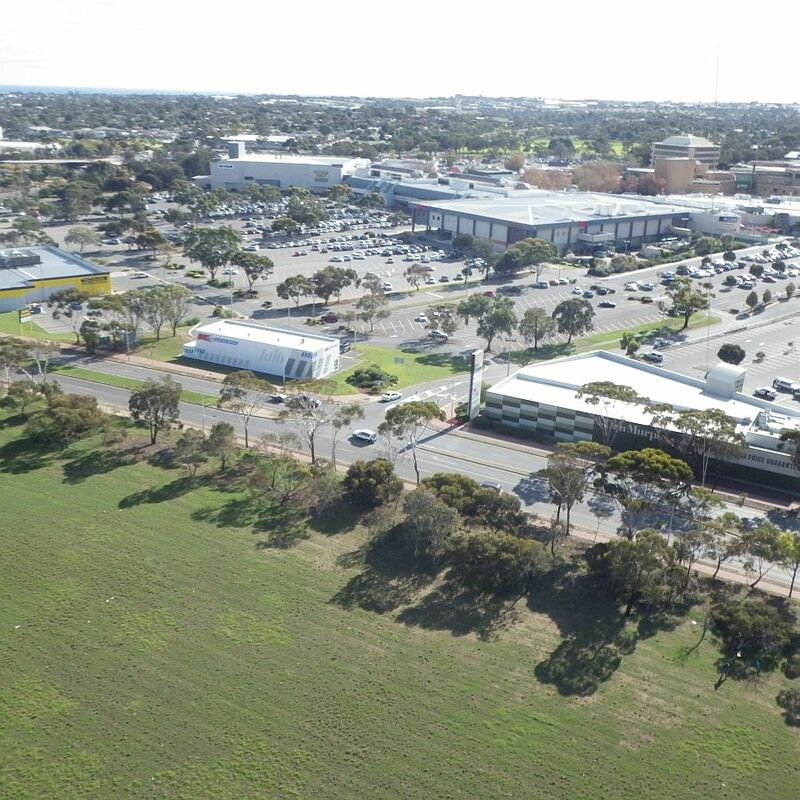 Looking more to the east, bringing the service station into view. The usual two panoramic photos were taken with the aid of the solid little marked chair. The almost flawless stitched image appears near the top of this page. Flaws creep in when you don't take all 3 photos in exactly the same plane. The chair also came in handy later when I got the chance to just sit and observe for a while! The ground was damp. Next, the line was laid and the Multi-Dowel Barn Door kite rigged, complete with twin drogues. However, before it even began to be launched, a corner tie pulled out. Better now than later! After a quick on-field repair, the huge Barn Door was away. Next up - the Fresh Wind Barn Door! This time, everything felt good. The spars were the same diameter but with much less sail area plus a large stabilizing hole in the middle, it was the right kite for the conditions. 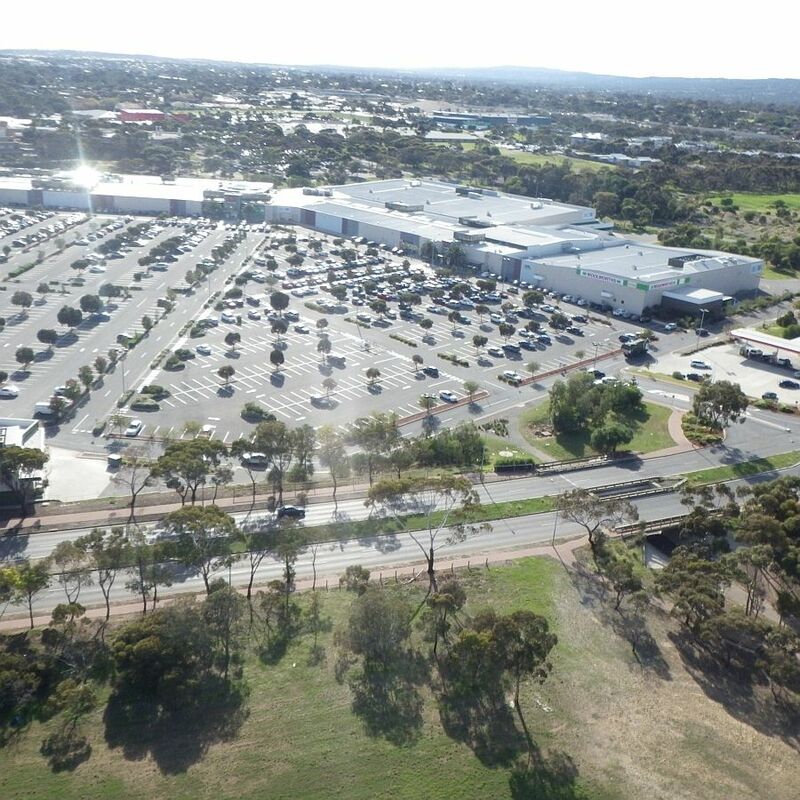 The new skewer KAP rig worked well, enabling me to twist the camera direction to capture the Eastern part of the sprawling shopping complex. At times the KAP rig and kite seemed to interact, resulting in large slow oscillations. The kite nearly going sideways at these times. But most of the time, the movement damped out and the kite / rig combination stayed gratifyingly steady. I could just imagine the sharp images being taken. The kite flew achored to one foot while I powered the camera up again, paused a few seconds then pressed the shutter button to initiate another photo sequence. With the rig dangling close, it was an easy matter to give the spindle a small twist to zero in on the Western portion of the target this time. 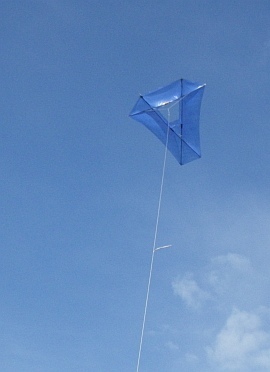 Again, the kite performed well, proving that drogues probably wouldn't make much difference under these conditions. The line was tight and the angle up to the KAP rig hovered around 45 degrees most of the time. Perhaps it touched 55 degrees when some weak rising air came through. 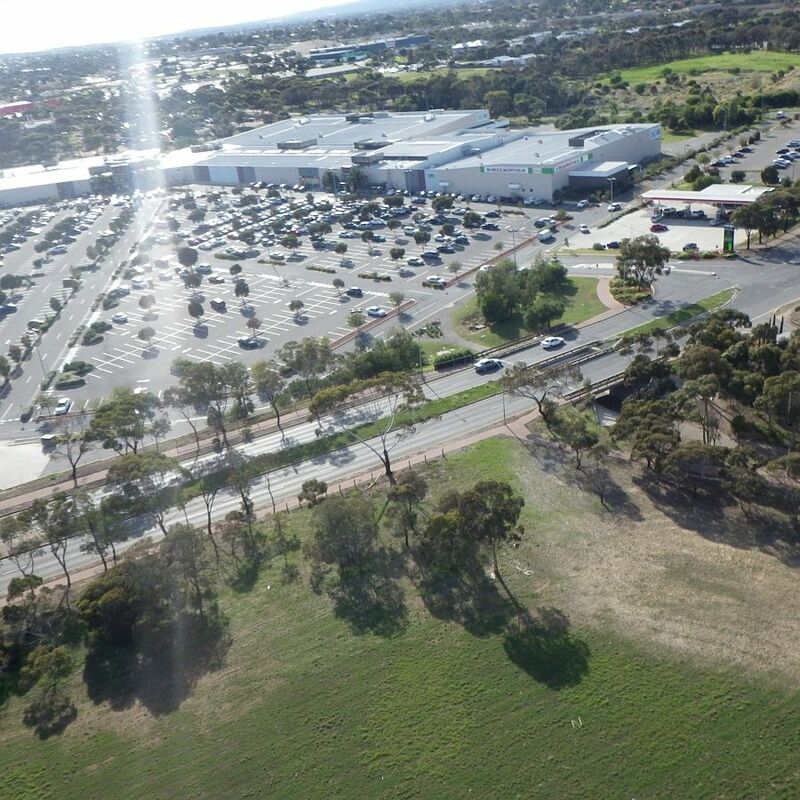 It was a bit of a trudge back to the car in the shopping center car park, with chair, 2 rolled up kites and bag on one side and hose reel winder plus skewer cradle on the other. Never mind. I knew that plenty of good images had been taken. Ah, the anticipation after a KAP session - the image processing at home is the icing on the cake! On this occasion I chose not to put the kite up once more to do video. I simply needed to get home by a particular time. The new rig certainly saves time since there is no tying / untying of laces and removal / insertion of the camera with a plastic sleeve. On top of that, some camera operations can be done while it is still in the cradle, as described in the Flight Report.